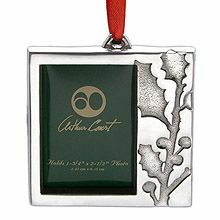 The Arthur Court Holly Photo Frame Christmas ornament is a great way to share a special memory or show off someone special during the holiday season. This ornament features a traditional holly tree sprig to the right of the photograph cut out. 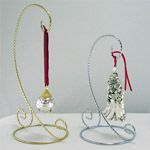 The ornament will hold a picture measuring 1-3/4 inches by 2-1/2 inches. 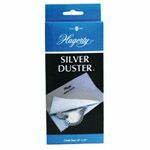 This festive ornament is the perfect size and price to use a stocking stuffer. 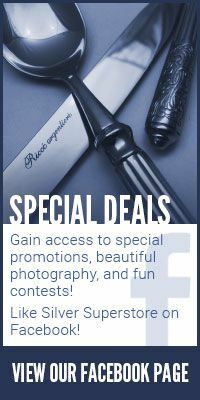 Or, you could add it, complete with photograph, to a wrapped present as a bonus gift and added decoration. 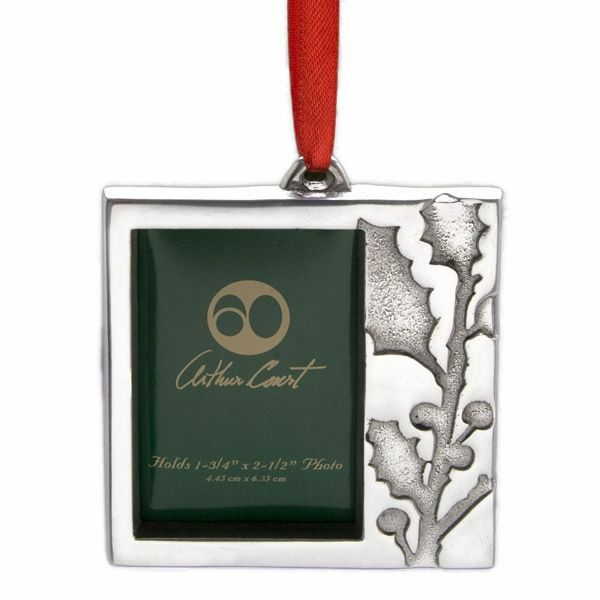 The Arthur Court Holly Photo Frame Christmas ornament is made from sand-cast aluminum and comes gift boxed. This item cannot be engraved. 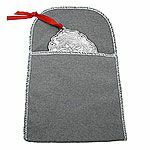 Holly Photo Frame Ornament $15.00 Sold Out!